"Wow! I didn't see THAT coming!" -- exactly what I thought when I got to page 403 (of 407) in Chris Fabry's Not in the Heart. Truman Wiley is an out-of-work journalist with lots of problems -- a gambling addiction that has led to a dangerous level of debt, a family he has neglected for so long that he has lost any chance of reconciliation, an aversion to anything that has even a remote connection with God. His 18-year-old son is dying from a life-long heart condition, and the only hope he has for survival is a heart transplant from a man about to be executed for murder. Truman is approached by the convicted man's wife to write a book, tell his story. As Truman gathers information for the story, evidence points more and more toward the possibility of a different killer. Truman is faced with a life-or-death dilemma: should he allow a man who may be innocent to die so that his own son can live, or should he follow the truth? Fabry presents most of the story in first person in Truman's voice, and that voice is pretty negative. Truman's life is a mess -- mostly from his own choices -- and that skews his outlook on other people, particularly those who believe in a loving God. There were a couple of times early on in the story when I had a little trouble going with the flow and wondered if the book was worth my time. But am I ever glad I chose to stick with it! If you want a quick and easy, feel-good read, this may not be your best choice. 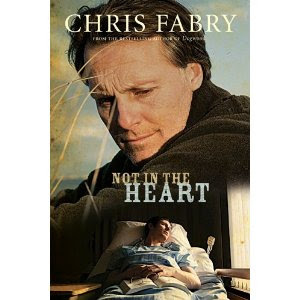 But for a story that draws you in to some tough issues, while at the same time leading you and his characters to a realization of redemption and mercy in the workings of God, I highly recommend Not in the Heart. A complimentary advanced reader copy of this book was provided by Tyndale Publishing in exchange for my honest review. 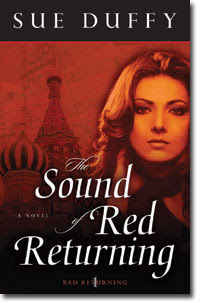 Russian spies, CIA agents, world-renowned musicians, charter boat operators -- Washington, DC; New York City; the Kremlin; Charleston, South Carolina -- just some of the characters and locales in Sue Duffy's page turner, The Sound of Red Returning. To use a well-worn cliche, she "had me" at page one and never lost me up to the very end. Intrigue, suspense, danger, and romance all came together into a well-crafted story that was hard to put down. Liesl Bower, a world class pianist, is in danger because of her connection to events that happened fifteen years ago when she witnessed the murder of her mentor and friend. She fights against unwanted protection until she realizes she has no choice but to give in. When she tries to find a safe refuge in her hometown, strangers are brought into the web of trouble . . . and romance grows alongside the danger. Only as Liesl begins to open her heart to the love of a man and to the love of God can she begin to heal from a hurtful past and learn the peace that comes from surrender and forgiveness. There were lots of plot twists and turns that kept me involved in every page of the book. Sue did a masterful job of keeping the story flowing in the present, while visiting past events to fill in the important details. And near the end, when . . . well, I can't tell you what happens, but I was caught off-guard by that twist! You'll just have to read this great book for yourself to see what happens. And I was excited to know that this is Book 1 -- anxious for Book 2 and more to come. This book was provided free of charge by Litfuse Group for my honest review. February 13th on the Litfuse website! Love Lifted Me by Sara Evans and Rachel Hauck is a sweet love story of two souls with lots of baggage learning to trust each other and God. Jade Benson has accepted her husband's son from an affair he had just before they married. Now she is waiting for Max to come home from rehab in Texas where he has supposedly come clean from his prescription drug addiction. As Max steps carefully back into her life, appearing to be changed, Jade is wary about trusting him to have left the old Max behind. When Max is not welcomed back into the family law firm, he shocks Jade with the crazy idea of going back to Colby, Texas, to coach high school football. After prayer and soul-searching, they decide to trust God to lead them to new beginnings but find their faith severely tested time and again. Max and Jade work through the tests with a philosophy well worth borrowing: "We've seen what man can do. Let's see what God can do." It wasn't until I finished reading the book that I realized this was the third book in a series. The book worked fine for me as a stand alone, although I think it would be a nice addition to know what happened in the previous stories. I enjoyed the story but did find the conclusions to some of the issues to be rather abrupt, without enough explanation of why things went a certain direction. All in all, though, it was a good story and carried a very strong message of God's working to bring redemption to messed up lives. This book was provided free from Book Sneeze for my honest review. 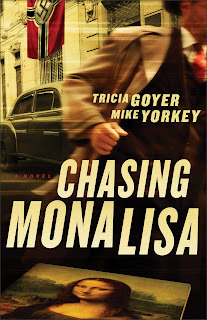 The authors of Chasing Mona Lisa are sponsoring a spy-themed prize package giveaway, and a Facebook party with a live author chat. 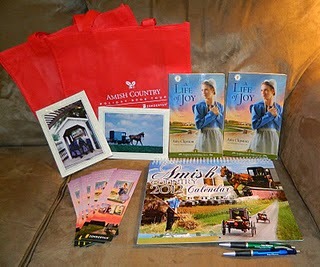 The Prize package includes an iTouch, a Starbucks gift card, a moleskin notebook and more! Value is over $275. Contest ends January 31 . Chasing Mona Lisa by Tricia Goyer and Mike Yorkey is a dramatic story set in France and Switzerland near the end of World War II. Swiss OSS agents Gabi Mueller and Eric Hofstadler are caught up in an adventure to protect one of France's national treasures -- Leonardo da Vinci's Mona Lisa. Bernard Rousseau and Collette Perriard each have their own personal reasons for being involved in the chase as well. During Nazi rule of France, many art treasures were purchased or stolen and placed in the private collections of those with money and power. Other pieces were protected and hidden by loyal French citizens, with plans to return them to their rightful "homes" when it was safe to do so. As the liberation of France approaches, clashes between nations and between competing factions within the home country put the future of da Vinci's masterpience in danger. The story is filled with danger, intrigue, and romance as the race is on to see who will finally get their hands on La Joconde, as she is known in French. Chasing Mona Lisa is apparently a sequel to The Swiss Courier. There are a few references in the story that might have been more meaningful if I had read the previous book, but I found no problem in reading it as a stand alone. The story is full of fascinating historical facts and names, interwoven with the fictitious events. At times, I had a little trouble keeping up with "who's who" in the various groups. That confusion and the large amount of historical information sometimes got in the way of the story; but mostly it fit in with the suspense of finding out who were the "good guys" and the "bad guys" in the story. I would recommend this book to anyone who enjoys an intriguing mystery and has any interest in the time period of World War II. If it is a good example of the writing of these authors, I would certainly enjoy reading more of their work. This book was provided free for my honest review from Revell. On a totally unrelated topic -- I have started a new blog to share the angels I've made for Christmas each year since 1995. (I had this started on another website but decided to move it.) Right now I have posts that only contain pictures of the angels. Sometime -- who knows when -- I hope to add directions for making the angels. Here is the link to my "Lots of Angels" blog. While I have enjoyed all three of the books in the Bailey Flanigan series by Karen Kingsbury, Longing still leaves me longing for answers! This story will make you smile, and -- as with all KK books -- will find you reaching for the tissues as it makes you cry. Old chapters are closed and new ones opened in the lives of the main characters. Bailey, through a variety of circumstances, sets out on new adventures. Brandon finds himself challenged in his relatively new faith. And Cody experiences great highs in his career, as well as deep hurt and loss in his personal life. Their lives converge and diverge in various ways that make choices anything but simple. In Loving, due to release in just a few months, we will finally have an answer to the question that has "plagued" readers throughout the series -- Cody or Brandon? While I am very anxious to have the resolution, it will also be bittersweet to come to the end of this journey. I have certainly enjoyed the ride! Thomas Kinkade & Katherine Spencer have added a 12th volume to their Cape Light series -- Christmas Treasures. This book is one of my favorites in the series. Reverend Ben is questioning how much longer he might be able to keep up with the pace of activities involved in his position, and he and his wife Carolyn often dream about having the time for tropical vacations and other travels. When he suffers a heart attack on a Sunday morning shortly before Christmas, it looks like he might be forced to make immediate decisions about whether to continue his ministry. Regina and Richard Rowan are struggling to hold their family together through the Christmas season for the sake of their kids. When Regina inherits a broken-down house from a distant relative she has never met, the family has a place to spend the holidays, with plans to fix up the property and sell it before their marriage dissolves. As they settle into their temporary home in Cape Light, new hope begins to flicker in what might be described as a series of Christmas miracles. Some of the Cape Light books had seemed to me to become a little stale. Christmas Treasures, with some new characters and a very enjoyable story line, added a new sense of life to the charming little town. I would be glad to see more in this series. I was just looking at my posts and noticed that I haven't written a book review in just over a month. Does that say anything about how crazy my December was??? It's been a busy, busy month, and one of my favorite pastimes -- READING -- got pushed aside. (I did get a couple of books read somewhere in there but haven't gotten around to posting about them.) There was a trade-off with lots of fun times with family and friends filling in the busy month. Tomorrow I go back to school after a little less than a two-week break. I'm not really ready -- I always want more time for the things on my "I'll do this while I'm out of school" list. But, I guess it's time to try to get back to normal -- whatever that is. Hopefully, one benefit will be getting back to my large to-be-read pile of books. So look for reviews soon. Happy New Year . . . and happy reading! 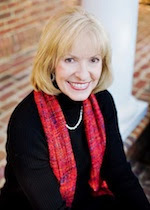 Amy Clipston has started off the year with another great contest. Check it out.